Breaking it down for you, I’d say there are really 3 distinct areas of expertise that I work with in creating wedding attire for the islands. Designing silk for wear in the tropics would be the first. I’d say that designing multi-look/wrap-&-go island styles would be the next. These styles are “authentically island.” The indigenous garb of the islands, the sarong, inspires them. Sometimes referred to as “convertible” or “transformable” styles, they wrap and tie on the body with multi-look options. They are at once versatile and deliciously comfortable with a “tailored” fit and ideal for working long distance with clients. Lastly, assisting a woman of any age in expressing her unique beauty and style personality would be the expertise that personalizes my work for each woman. I use body shape analysis, reveal & conceal strategies and the subtle art of fashion and textile design for re-sculpting body shapes to accomplish this. Brides and mothers of the bride naturally gravitated towards my work right from the start. We started in 2001. 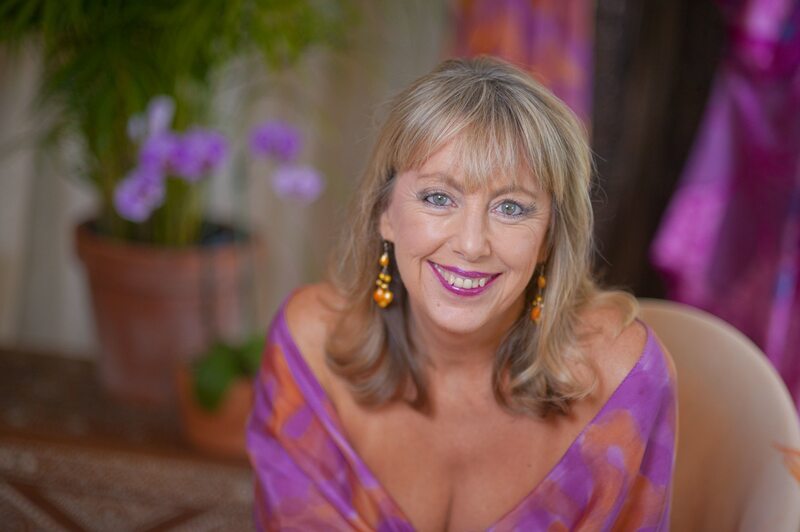 They loved the relaxed elegance of my hand-painted silks because the designs where perfect for both the climate and the laid-back mood and fashion needs of the islands. Not just relaxed, the dresses were formal enough for a wedding.They also loved how the hand-painting and custom nature of my work made them look and feel their most radiant. As time went by, I really fell in love with working with brides because it was very satisfying creatively. A wedding is such a momentous rite of passage that a bride is really up for creating something super special, yet authentically “her,” for her wedding. And she needs her dress! Her need for something so unique and the extraordinary is really on her mind so she really appreciates the possibilities available to her through custom work. I adore the process of helping her define just what she’s looking for. She usually comes to me with a feeling of what she wants to have but she can be all over the map. For some brides defining what her vision means stylistically can be hard. 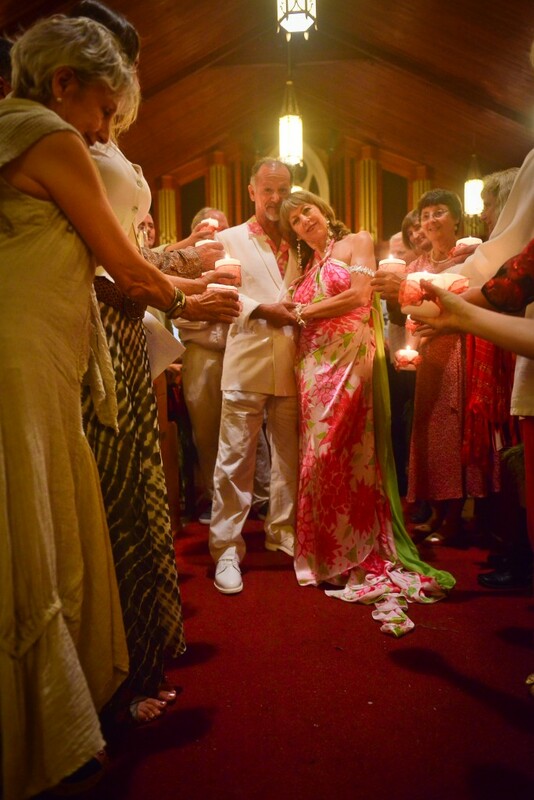 I always feel honored when a bride wants me to create something for her wedding – or honeymoon. How long have you been in the wedding industry? I’ve worked with brides all over the world since 2001. 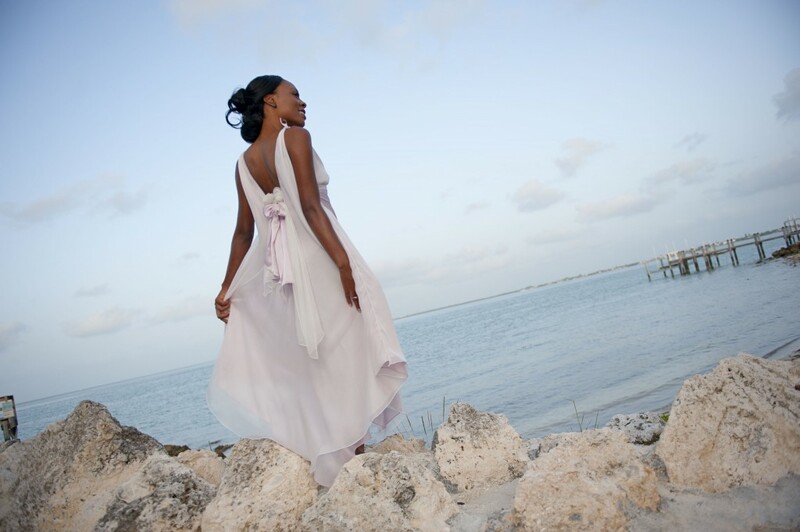 Initially my niche was designing silks for the islands and brides. 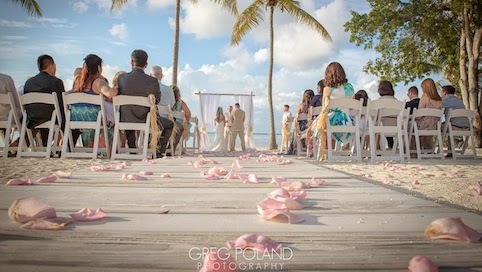 In 2008 I decided to focus my work in on the destination island wedding niche because it was so fun and so rewarding. How many brides have you helped? How many of those were 2nd or 3rd time marriages? I would say 75-80% are 2nd or 3rd time marriages with some of that of that being mothers of the bride. What things should a couple keep in mind when planning a destination wedding. Especially when it comes to the dress? I think your most important focus should be the weather and dressing appropriately for it. I can’t tell you how many couples I see sweating profusely on the beach in their heavy formal wedding attire. Ask the locals you are working with a lot of questions so that you really know what you are dealing with. They can help you understand temperature, time of day, wind, rain and humidity. Traveling to the islands for a vacation and only wearing casual wear is a completely different situation. I work in great detail with my brides to help them know just what weather conditions they can expect and what temperatures they can and can’t handle to make sure we create a dress that won’t be uncomfortable for her in the tropics. The same goes for guys. You can’t be too careful on this subject. Talk to the locals!! Keep tuning in to our blog for more information on Jasmine Sky and other experts in the industry.